SPJ/ONA DePaul, the campus organization for the Society of Professional Journalists and the Online News Association, received the Outstanding Organizational Development award Thursday night at the DePaul Socially Responsible Leadership Awards at the Lincoln Park Student Center. SPJ/ONA DePaul was honored for its innovative programming, which includes social media training, ethics, free speech, coding and multimedia training and a diversity panel. Judges also mentioned the organization’s ability to recruit new members and use the web in daily operations as a factor in the award. The organization also was a finalist in the Outstanding Student Organization and the Diversity/Social Justice categories. 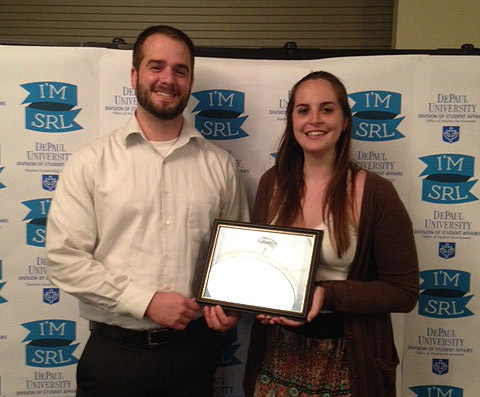 The organization has won eight SRL awards in the last four years.